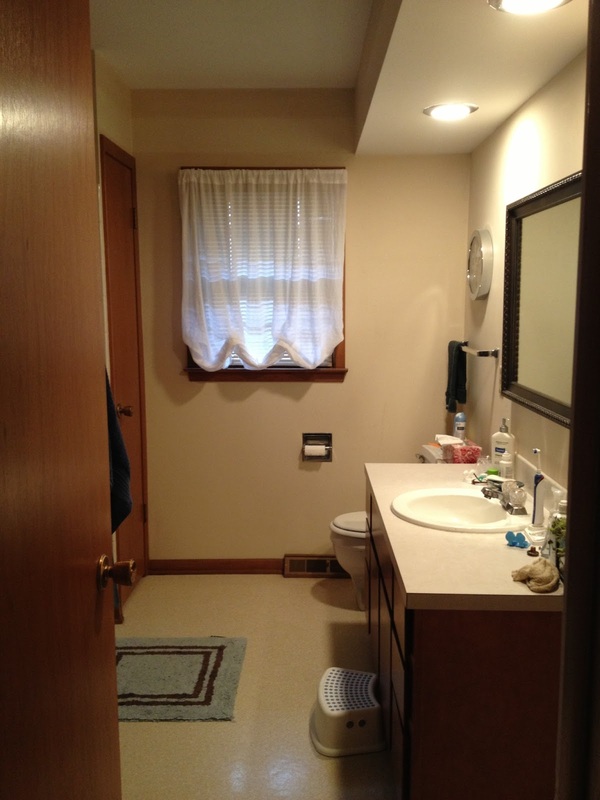 From the time we moved into our house, our bathrooms bothered me. 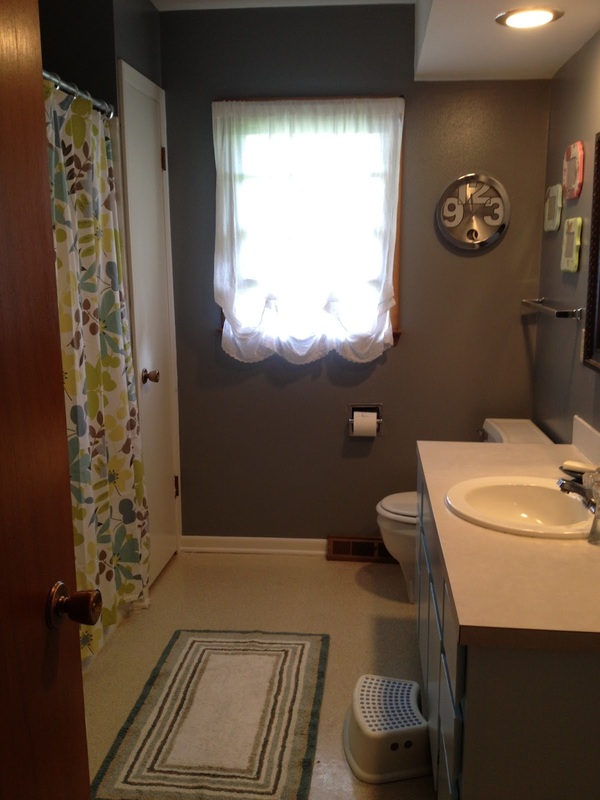 The old white paint, faux wood cabinets, and hollow wood doors made me cringe every time I had to use the bathroom. 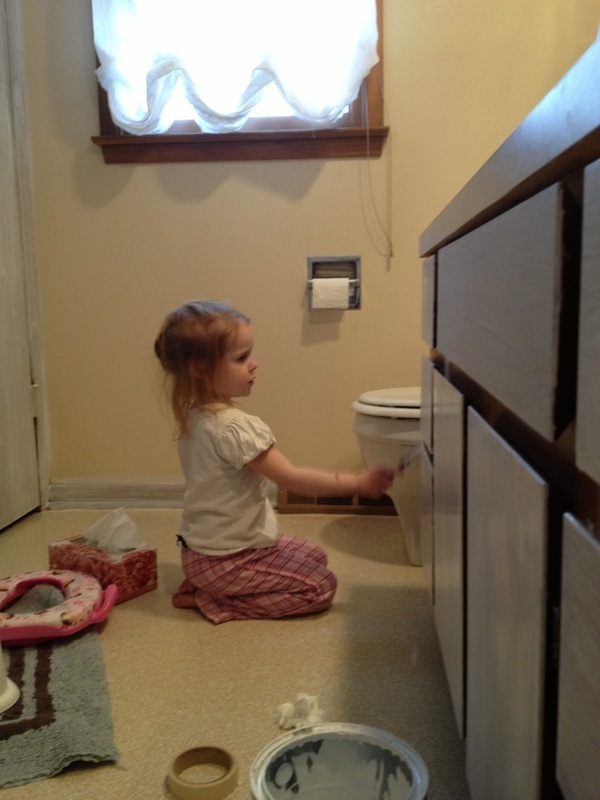 And because I was very pregnant and thus had a very small bladder…. I was in the bathrooms often. So in the midst of a major basement renovation project, I also jumped into two bathroom-painting projects simultaneously. This is typical of me. I get so excited about the end product that I don’t think through the work involved in getting there. All I can think about is how just a couple gallons of paint could completely transform the space, and all of my negative memories about painting somehow fade away. Ah well, maybe I will learn someday. Needless to say, the process took a little longer than I expected. Paint brushes and tape mingled with toothbrushes on the vanity. Swatches of color and tape decorated the walls. 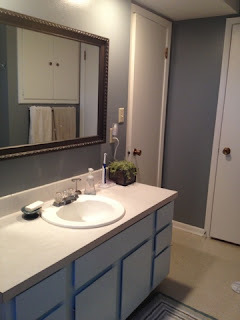 From taping, to priming the wood cabinets and doors, to an experimental cabinet color (yikes! ), to a new cabinet color, to two coats of wall color…. 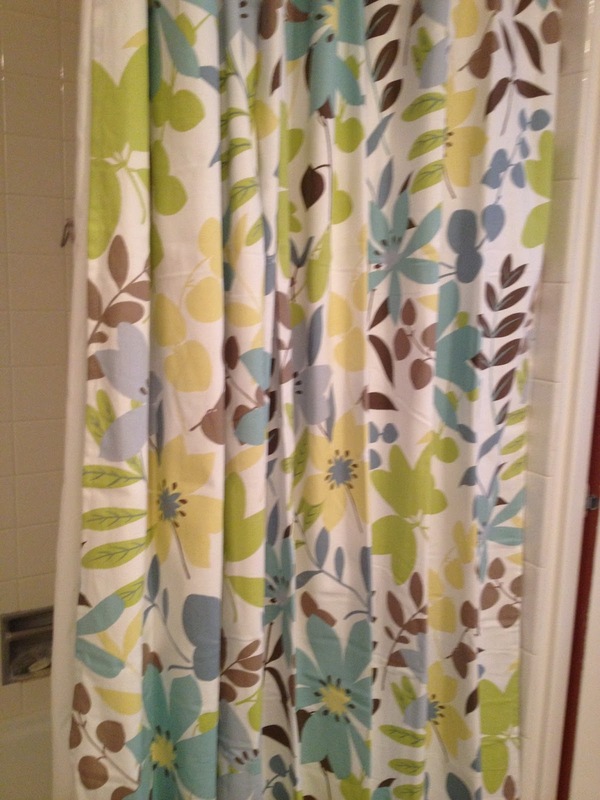 in two bathrooms…. while being 8 months pregnant. The painting paused for a couple of weeks when I went into preterm labor and had to rest. Guests commented on the peeling tape around the doors. My compassionate husband even took a few breaks from the basement project to paint with me. Finally, after over a month of living in the midst of painting supplies, I cleaned the paint brushes, put away the tape, and smiled at my pretty bathrooms. Just a couple days of work! 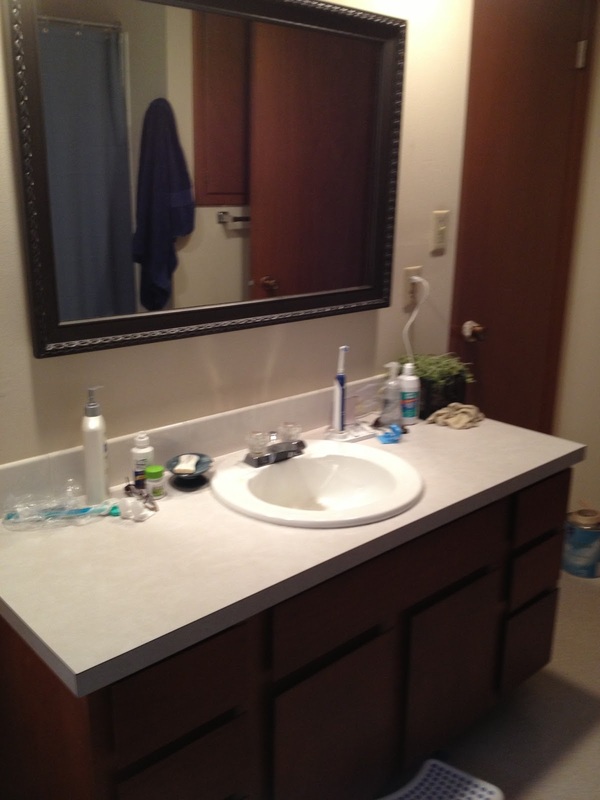 Previous DIY Kitchen: Little Changes Make a Big Difference.